I think I have lost count on how many times I have said I am so cold this winter. Whenever there was a public announcement of yet another snowstorm, I prudently stayed indoors. But how long can you stay really indoors? So today despite the bone-chilling windy, snowy weather, I came out of my little igloo. My motivation to be out and about was Alexa Clark’s Dimsum day at Dim Sum King! I always have a love for dim sum. 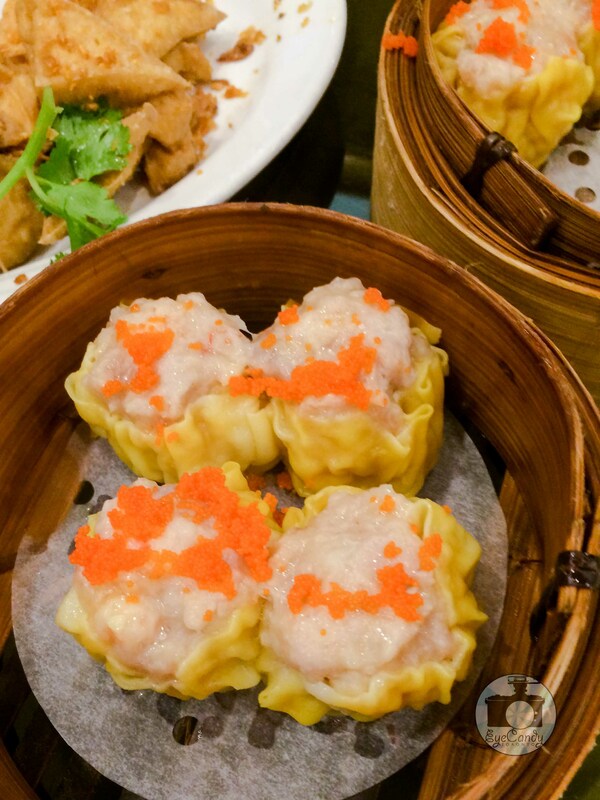 My all-time favorites are siu mai and steamed BBQ pork buns. Most of the time, I am rather full with these two and I don’t venture for other things off the dim sum trolley. But since I was with a rather large group this dim sum brunch, I got to sample more than usual and now I know of more things that I would come back for. I was about 15 minutes late and two tables of Alexa’s friends has already started with the indulgence when I arrived. I loved meeting new people in events like this and it surely does break the so-called ice when you share comfort food. The food came fast and furious. I must confess I haven’t captured everything for this post. I was rather busy sampling so many things. Through our table, countless bamboo steamers passed through. I helped myself with steamed bokchoy, steamed spinach (yes, let’s start with the healthy stuff, teeheehee…), siu mai, har gow, steamed BBQ pork bun, seafood pancake, turnip pancake, fried tofu, fried onion dumpling, fried shrimp dumpling, chinese fried rice and noodles. I must have forgotten some more items but like I said, we just kept on picking food from the dim sum carts that passed by. It was such a good idea to be with a big group. Purely dim sum heaven! Thank you so much Alexa for the fun time of having dim sum with you and your friends. Next time you have this craving once again, count me in! It was great meeting you, Ann, and sharing so many yummy treats. Thank you for the great photos and write-up. Cheers! It was great that you could join us, and thanks for taking all the photos. I love Dim Sum but unless I get downtown I don’t have many opportunities to eat it. During the holidays we decided to go for Dim Sum but the weather turned bad and my husband didn’t want to be too far from home. I’ll have to remember Dim Sum King.